Esther comes to us from Israel (Waterdew Cattery), where she was born to parents who were born at Kinross. So, what goes around, comes around... We are pleased to have Esther join our clan. 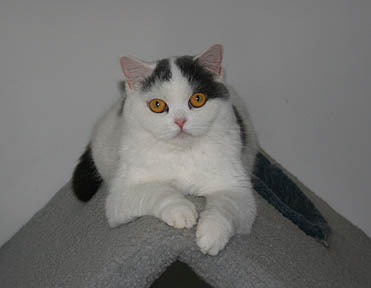 She is a blue and white shorthair, straight-ear girl.